Oh, I’m so excited. Last Sunday I released the full version of my new Manifesto For Visual Fine Artists and already the questions are flying in from around the world. And they are doing exactly what I was hoping: asking for clarification. I knew when I wrote this that some things were self-evident to my brain, but could very well be more mysterious to another’s. she got confused. And it was right at the beginning! I’ll include the whole text, for context. And put the section, which Leonore asked for more clarification, in green. There are many reasons why fulfilling a career in the visual arts is the Mt. Olympus climb that it seems to be. For one, we hold a tangle of ideas about the arts within our collective consciousness, within our art institutions (not-for-profit and for-profit, alike) and within our individual psyches about what it means to be an artist. What all of these ideas share about the arts, and the artist, is their point of originwhere an idea rises out of playing the blame game or out the desire to awaken awareness. There are, at least, two parts that need illumination. On the other side of the scale, there are ideas of artists as master creators, as magicians with mysterious abilities that are not accessible to “normal” people. Because these ideas also live in the collective consciousness, they affect us at many levels. When we are unaware of which ideas (aka beliefs) are operating within our consciousness, and therefore affecting the decisions and choices we make for our careers and ourselves, it becomes easy to “blame” the culture for failure to support visual artists at the level most artists would appreciate. The blame game is about reacting instead of responding. It’s about abdicating the very real power that our thoughts, ideas, and spoken words have on not just ourselves, but the collective consciousness as well. Essentially, the collective consciousness is individuals holding, and maintaining, thought patterns that are feeding into the larger collective. You could think of each one of us as a tiny stream trickling into the river that eventually runs down into the ocean. You’d think awareness already indicated a level of being awake. And it does. 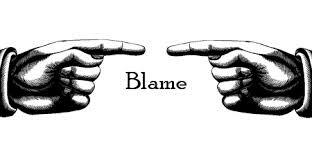 Only, for me, simple awareness does not go far enough to affect the toxicity of the blame game. Awakened awareness happens when there is an intentional choice to stay awake to where blaming is affecting your choices and decisions about your art and your career. It’s being awake enough to catch yourself in the act – no matter how subtle. And if you are working within an arts organization, it’s when you are brave enough to wake up those around you who are also caught in the blame game – often without realizing what they are really affecting by their mindset/attitude/reaction. My plan is to use this Sunday Series of Blog Posts to tease out sections of the manifesto and illuminate, ruminate, and expand, but I can’t do this alone. I need my intrepid artists, the ones who find a resonance with exploring how we can all step so fully into our own creative flow that the collective consciousness of humanity also wakes up and steps into its collective creative flow. 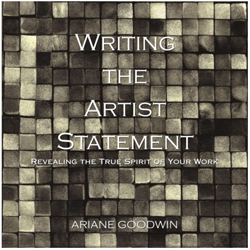 If you would like a copy of the entire Manifesto For Visual Fine Artists, click here. I want to hear … no, I need to hear about the principles you believe will take you closer and closer to the visionary summit of the truth and power in your art. 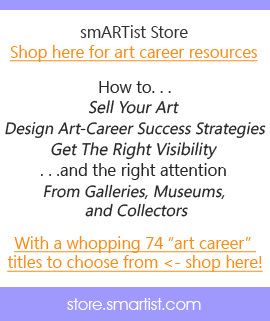 I have been coaching visual artists on their career path to Visionary Affluence since 2004. That’s the ten-year minimum it takes to master any skill—not to say I’ve actually mastered anything. Just letting you know I have logged the 10,000 hours it takes to run fast enough, flap your wings hard enough, and leap high enough to discover whether or not you can fly. And what I can tell you is how remarkable the view is from 10,000 hours above the creative landscape. I can spot enclaves of my artists as they sit ‘round mythical campfires at different levels of the Mt. Olympus climb to their dreams. Leaning into the smell of a wood fire, these artists – intrepid visionaries every one – share their experiences with each other. A hawk cries out and circles overhead as the mountain range frames a bold streak of sunset sky deepening to blood red. I invite you to join your fellow artists, and me, under the emerging stars of your own visions, where the expansive beauty of the horizon calls out, the fire is warm, and the truth of your heart is irresistible! Click here to join my list as we travel together on our mutual Paths Of Visionary Affluence. And I’ll keep you posted on the exciting new events, webinars, trainings, books, and successful artist interviews I’m mapping out as we climb this dream summit together.